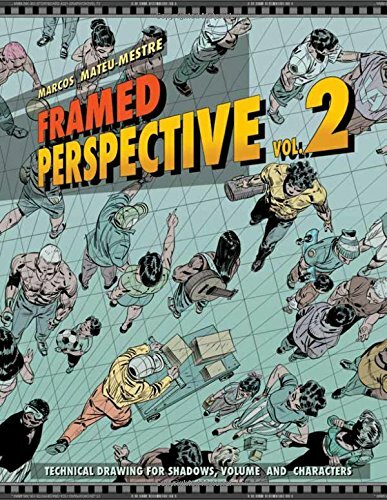 Volume 2 of Frame Perspective covers the drawing of shadows and characters in perspective. This book complements Volume 1. This 132-page book is packed with lots of illustrated examples, step-by-step instructions and explanations. The book's full of technical knowledge and insight. All the good things that I've said for Volume 1 applies to this book as well. In short, this book is awesome. There is no doubt that this book is going to benefit any illustrator or designer who seeks to master perspective.